Mangoes are among my favourite fruit, and I can’t wait until summer’s here and I can sink my teeth into that delicious golden flesh again. 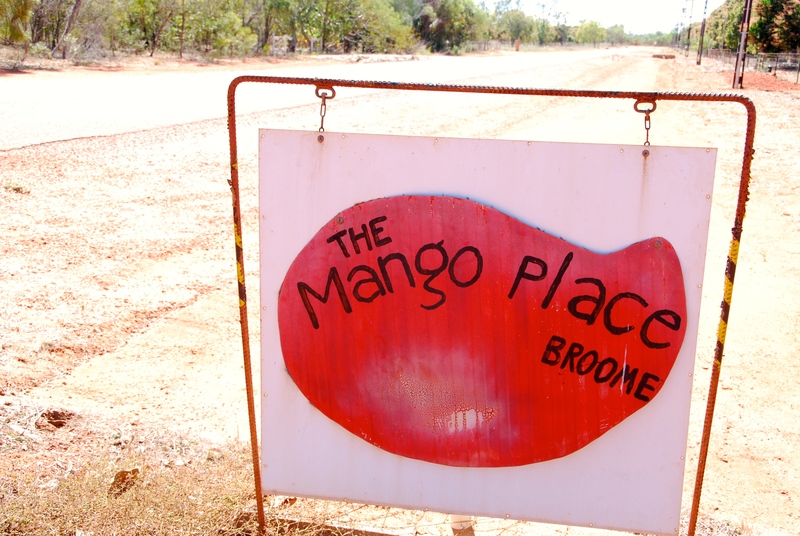 In Broome, after hearing about The Mango Place, I made the drive about 20km out of town to check it out. It’s an easy place to find, just follow the only road north-east out of town for 18km and turn left when you get to a place called 12 Mile. 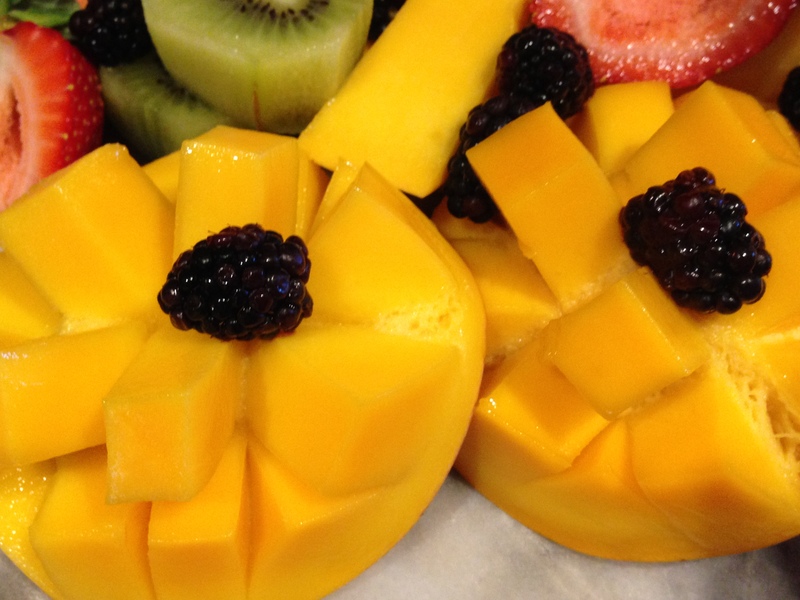 Everything “mango” you could possibly wish for is right here under one roof. Set in an orchard of mango and other fruit trees, the cafe is a pleasant place to while away an hour or so. 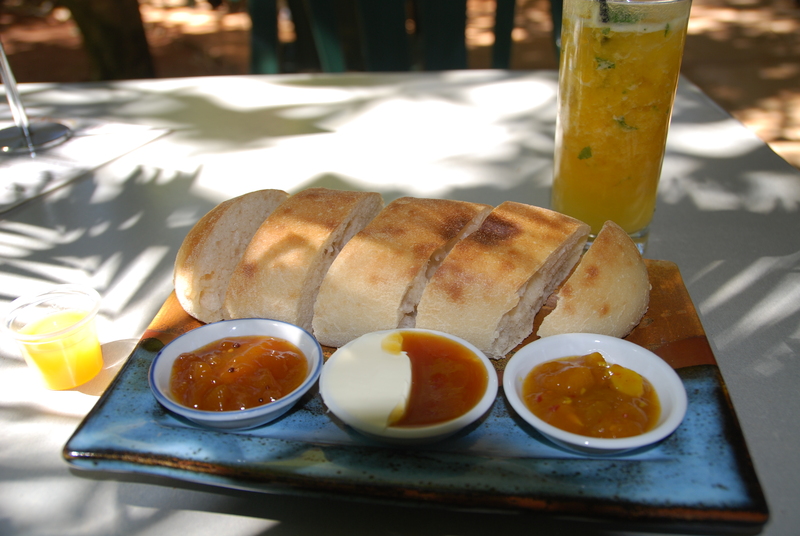 I went for lunch, settling on a trio of dips and a non-alcoholic mango mojito. Not everything on the menu was mango-inspired, but there was a fair smattering, including a beef and mango wine pie, various curries and desserts such as mango liqueur cake with home-made mango ice-cream, mango cheese cake and mango rock candy pieces. 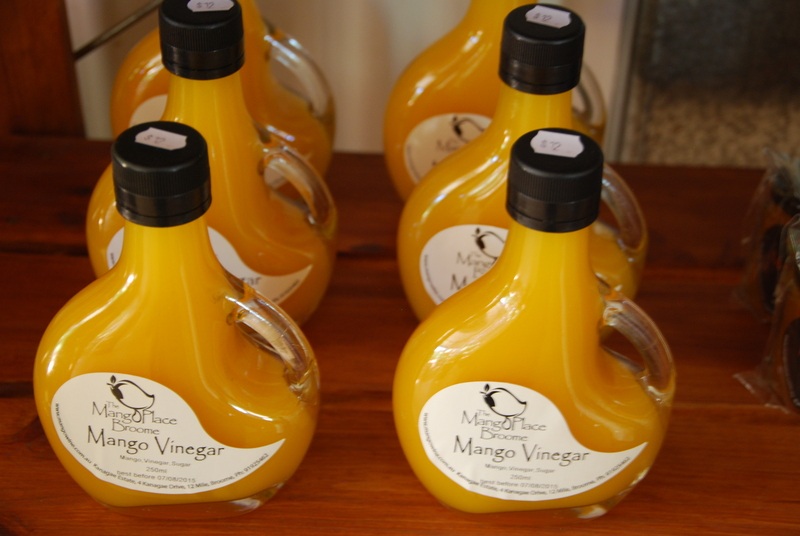 The shop adjoining the cafe has a wide range of mango products, most made locally. 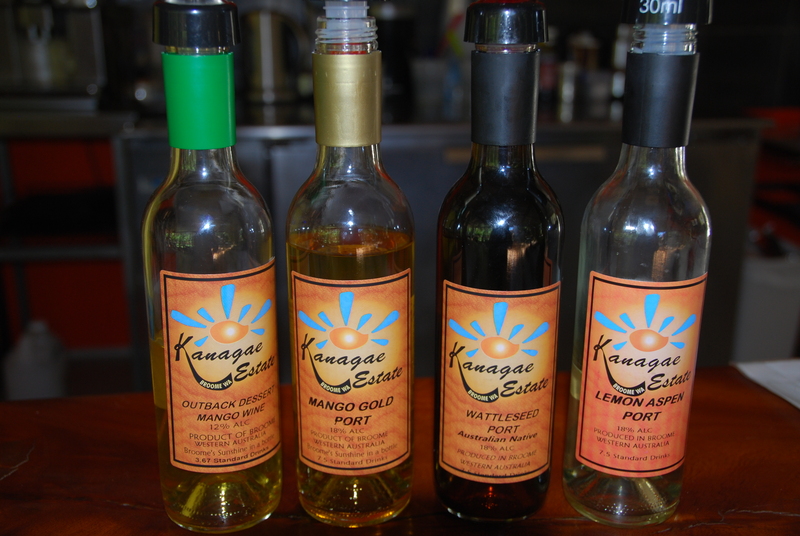 The mango wine made here at Kanagae Estate, is made from Kensington Pride mangoes. I’m not keen on fruit wine (mostly I think it’s too sweet), but there was plenty more to tempt me and I left stocked up on foodie jars of mango chutney, mango pickles, vinegar, teas, sauces, jams and more. Tasting jars were available to help with the selection. I also can’t resist lovely hand-made soaps and there were plenty of those too, as well as mango t-shirts and a host of other merchandise, including clothing dyed with Broome’s distinctive red-earth pindan. After lunch I had plenty of time to wander around, taking a walk through the orchard on the Rainbow Walk. 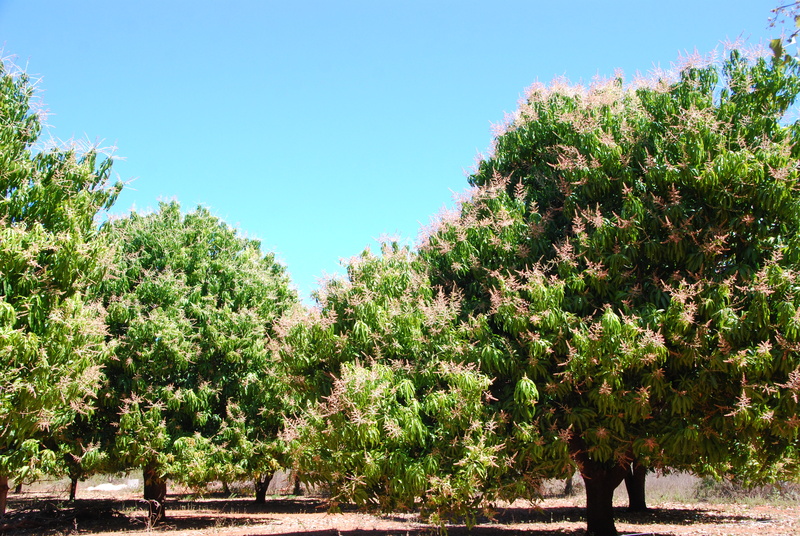 The mango trees were laden with blossom, but no fruit at that time of year. The walk also takes in a variety of other trees, including Jack Fruit, Bloodwood, Cashew, Custard Apples and Sandpaper Figs. A handy identification guide is provided. 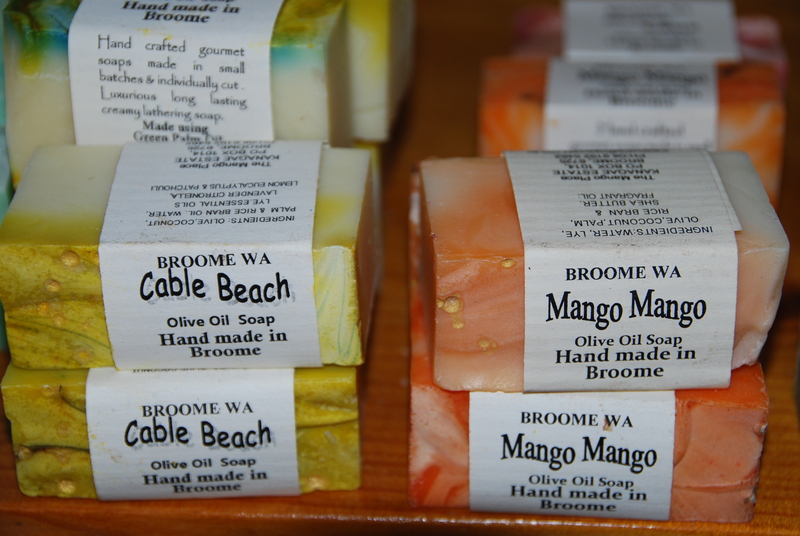 If you can’t get out to 12 Mile, The Mango Place products are available from at the Broome CourtHouse Markets every Saturday. And inspired by this week’s travel theme, from Ailsa at Where’s My Backpack, I’ve also dug out one of my favourite mouth-watering images of a ripe mango ready to eat. Roll on mango season! A Glass Half Full travelled to Broome and visited The Mango Place with assistance from Australia’s North West. I agree, Christine! Bring on summer! Oh yes! There’s nothing quite like a ripe, fresh mango, straight from the tree. Ha ha! No, I guess not. I used to live in a house with three mango trees in the backyard. We couldn’t give them away, some years, there were so many! But I never got tired of them. Go Mango. Must go. Thanks for the information. My pleasure. I try to be helpful.